Slowly but surely, Cuba is reopening to U.S. travelers. For more than five decades the country has been closed off to Americans, but with the lifting of restrictions by the Obama administration, the two nations have begun to normalize relations at long last. Now, many people are eager to visit the Caribbean nation themselves and learn what it has to offer. Amongst them are eager adventure travelers who are looking to add yet another destination to their passport. But what exactly does Cuba have to offer the adventurous traveler? Here are seven great experiences that can be had there. For those who are looking to stretch their legs, and take in some spectacular views, a hike to the summit of Pico Turquino may be just what the doctor ordered. The mountain is the tallest peak on the island, stretching 6476 feet into the air. There are two routes to the top, both of which take 2-3 days to complete, depending on your level of fitness and how fast you want to hike. It is possible to climb the mountain at any time of the year, but for the best possible experience, try to go during the dry season between October and May. Cuba isn't well known for its opportunities for surfers, but there are still plenty of nice waves to catch nonetheless. The most consistent surfing experience can be found along the country's eastern seaboard, where tropical lows create nice swells from August through mid-November. After that, the best conditions can be found on the north side of the island from December to March. The surf scene in Cuba is still relatively small, but it is growing. Expect a lot of opportunities to arise as more travelers visit and a surf-infrasctructure is established. Bikes are still a very popular mode of transportation in Cuba, with locals and foreign visitors alike choosing to ride all over the island. Not only is this a great way to explore everything that the country has to offer in terms of natural beauty, it is also a wonderful way to interact with the islanders as well. 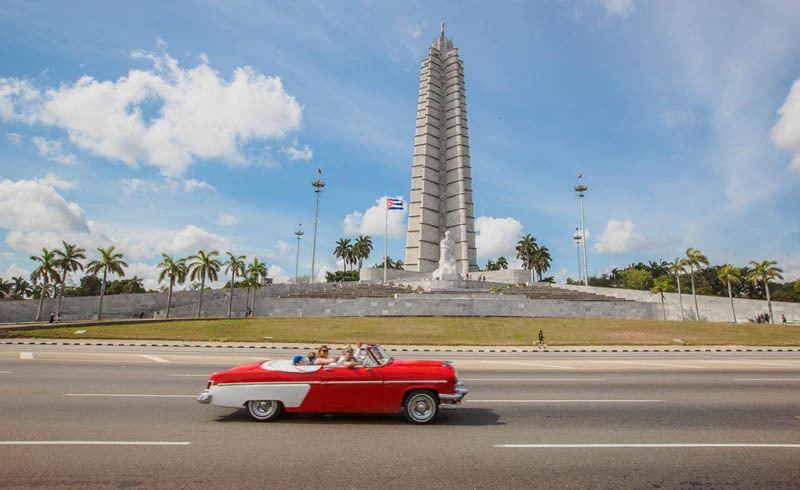 Canadian travel company G Adventures even offers an eight day itinerary that allows travelers to cycle a large loop that begins and ends in Havana, but visits such destinations as La Palma, Viñales, and Soroa along the way. Cuba is well known for being a great spot to go snorkeling. In fact, it has many areas that offer great coral reefs to explore, as well as varied sea life to encounter. Whether you're a complete beginner or an experienced snorkeler, you'll find plenty to love in the waters just offshore. The absolute best places are found on the expansive north and south shores, where the marine life is bright, colorful, and plentiful. For those who prefer to go further under the surface of the ocean, the scuba diving scene in Cuba is top notch as well. This gives travelers a chance to explore the pristine reef system more closely, including the spectacular Jardines de la Reina, a remote archipelago in the southern part of the country that remains virtually untouched by man. But if you'd like to make that dive, you had better plan well in advance. Just 1200 people are allowed to visit in any given year. Designated as a UNESCO World Heritage Site in 2001, the famous Parque Nacional Alejandro de Humboldt is a true paradise for wildlife lovers. It is home to not only 16 species of plants that are found only in Cuba, but also an array of parrots, hummingbirds, lizards, and the rare Cuban solenodon. Thickly forested and featuring numerous rivers, the park is said to be the most humid place on the island. That means if you do intend to visit, dress appropriately and bring plenty of water. Cuba has long been a sailing destination, dating back to when the Spanish first arrived in the 16th century. Today, that nautical tradition continues, with even massive cruise ships making stops at the country's ports of call. But for a truly adventurous sailing experience, leave those massive ships behind and charter a boat from one of 20 marinas or nautical centers located around the island. 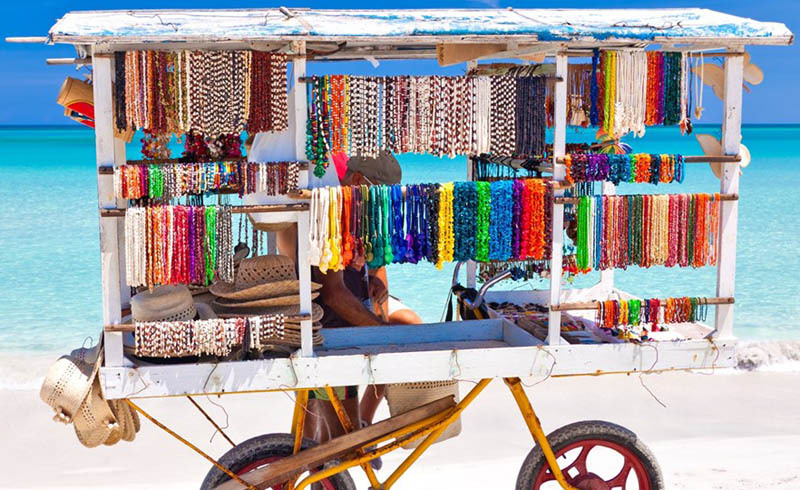 Then set out to explore the entire Cuban coastline – with the exception of the Bay of Pigs – as well as the numerous small islands that are also considered to be part of the country. Or, if you'd prefer to leave the details of the ship to someone else, book this trip with Intrepid Travel and spend 9 days at sea instead. These are just a few examples of some of the opportunities for adventure that exist in Cuba. As with most Caribbean destinations, there is a heavy emphasis on water sports, but there truly is something for just about everyone.